Haha you are such a cutie pie in these pictures! Love that flower in your hair! It just makes me smile :) following you back now and keep in touch! Haha, this is such a a cute post, I think I may just have to agree! Thanks for visiting and following. Follow you now too. 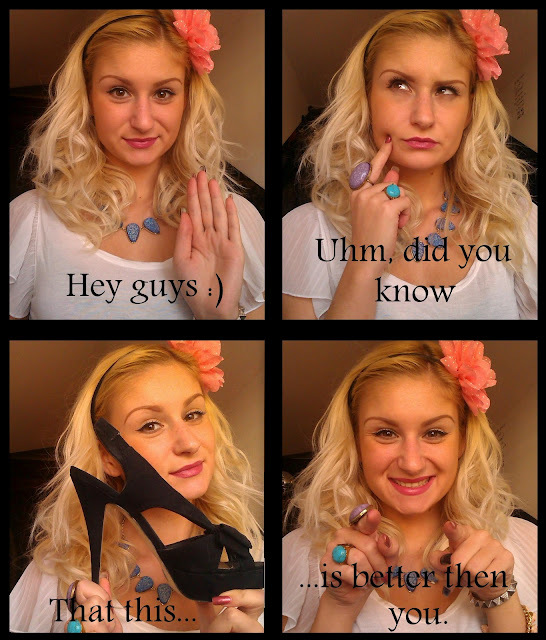 Hhhahaha sometimes it's true!We prefer shoes! Vážně jsem se zasmála :) Děkuju za tvůj komentář! Jsem taky tvůj follower na GFC a Bloglovin! Hahaha! Who wants Prince Charming when you can have the Glass slippers! ;) Nice Post..